Turmeric, an ingredient in curry, has been used for more than 2000 years as a culinary spice, medicine, cosmetic, and a fabric dye. This important spice was even described in Marco Polo's memoirs. 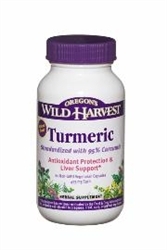 Turmeric is a highly regarded spice used in Ayurvedic and traditional Chinese medicine. Turmeric, an ingredient in curry, has been used for more than 2000 years as a culinary spice, medicine, cosmetic, and a fabric dye. This important spice was even described in Marco Polo's memoirs. It became popular in Europe during Medieval times for its coloring value and medicinal uses. Traditionally, Turmeric has been used for gastrointestinal health, joint health and overall body energy. Turmeric also plays a role in some Indian religious ceremonies. During the 1970s, research began to focus on the pharmacological properties of Turmeric and its constituent curcumin, particularly regarding antioxidant properties and joint health. As an herbal supplement, take three capsules daily with food. Precautions: Do not take at the same time as prescription medications, as it may interfere with their absorption. Take product with plenty of water. Do not exceed recommended dose unless under the guidance of a health care professional. 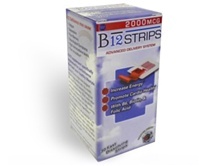 Not recommended for use during pregnancy or while nursing, until further research verifies no contraindications. Keep out of reach of children. Discontinue use if unusual symptoms occur.